Are your patients completing their care plans every time? Physical therapists understand that a patient cannot be successfully treated in a single session. It takes repeated completion of exercises and progression of care to rebuild and repair the injury. However, patients often expect to feel better instantly and become frustrated when they don’t feel better right away. So how can PTs improve patient compliance and get better results from their course of care? First, it helps to understand why patients expect to feel better immediately. In today’s society, instant gratification is the norm, not the exception. People are not used to waiting to see change occur. Think about it this way- it used to be standard to wait 5-7 business days to receive a package ordered online. Now, with services like Amazon Prime, it’s typically less than 2 days to get an item and sometimes as fast as within a few hours with Prime Now. You also should consider typical medical treatments for common conditions. The patient goes to the doctor and the doctor prescribes some pain medication to alleviate the discomfort. They take the medication and within 20-30 minutes “feel better”. While they do feel better, physically their condition is unchanged and the pills are just masking the pain. In contrast, when the patient completes a session in PT, they probably don’t “feel better” right after. They might feel sore or achy because they are actually working through the pain and healing the injury. Mentally, they could feel discouraged or frustrated at how hard they had to work to achieve progress. As physical therapists, you need to educate patients about the realities of PT and set realistic expectations for their care. This is a two-part process and should be a core component of your practice’s mission. Let’s see how you can use marketing and in-clinic programs to establish a common ground that helps patients see the value in completing their care. 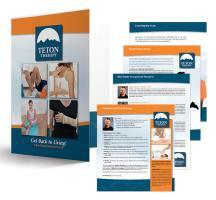 Use your newsletter to share articles about the course of care for PT. You want readers to understand that it takes 4-8 weeks of consistent sessions and at home exercises to really remedy the problem. Try tailoring your content to emphasize that consistency and commitment are key to results. Incorporate patient testimonials that reference how long the patient worked with your team to get better. It also helps to showcase what milestones they considered as a measure of success. Was it being able to climb the stairs without pain? Being able to train for a 5K? Maybe it was a simple as getting back into gardening without knee pain. Create a before and after campaign. Take a picture of the patient with their PT on the first and last days of therapy to show how they have improved. You can include relevant details like a timeline (ie. 4 weeks later), the PTs name and a major achievement (ie. I ran a 5K last weekend). Post relevant articles, images and infographics to your Facebook, Twitter and other social media. Look to MoveForwardPT or Google “Physical Therapy infographics” and find images that show the progress of PT. You can also consider creating a short 30-second video about how PT works. Develop content around how PT works and why it takes times and include this as part of your new patient packets. Be sure to go through this flyer with the patient and elaborate on key areas such as doing home exercises and following post-care instructions after appointments. 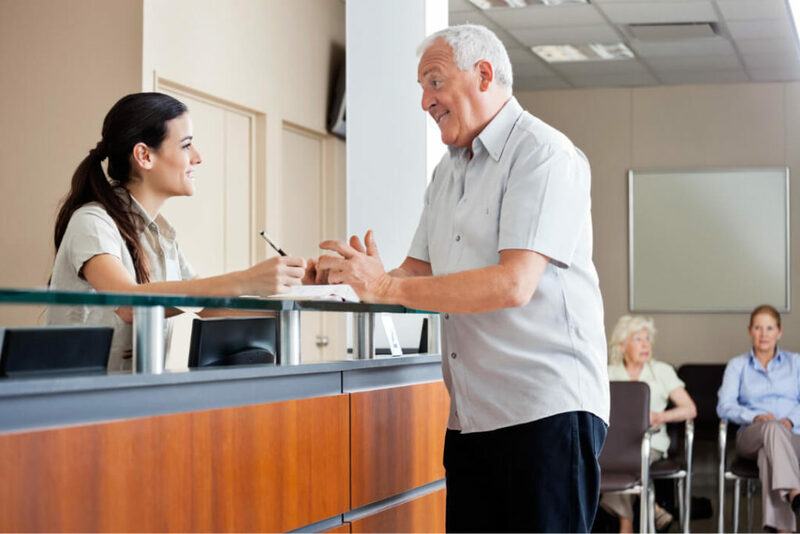 In addition to marketing programs, you can also use in-clinic initiatives to increase patient compliance. One of the most effective is training your PTs and staff on how to proactively encourage patients to stay compliant. Training opportunities could include coaching on soft skills such as communication, empath, and motivation. There are lots of online resources available or you could have a training specialist come in for a workshop. You can also simply have your staff practice (role play) different scenarios they come into contact with and provide recommendations on how to best handle them. Another easy in-clinic program to improve patient compliance is milestone achievement programs for patients. Creating visual exhibits where patients can track their progress—think star charts or MVP of the week spotlights. You can also easily rewards patients for completely large portions of their therapy. Consider giving patients a $5 Starbucks gift card or goodie bag with water, healthy snacks and promotions items when they complete 10 appointments. Little actions and recognizing the patient for their commitment to PT can make a big difference in their recovery and relationship with your practice. For more tips on physical therapy practice management and ways you can grow your clinic, follow our PT Marketing Blog or checkout our free marketing training resources.